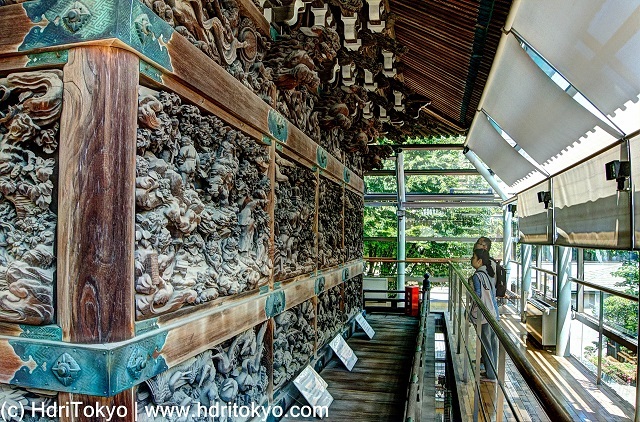 There is a temple hall named Taishakudo in Shibamata Taishakuten temple. 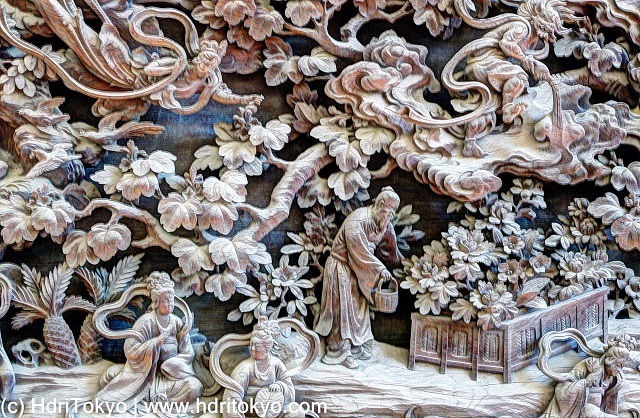 Outer walls of the hall are decorated with many beautiful carvings. 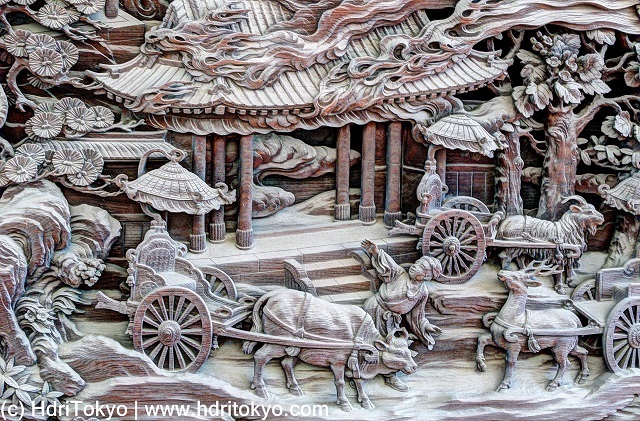 Especially, ten carved wood panels set on the walls are stunning. Those are scenes in the stories from Lotus Sutra.